In the world of actors and actresses, Amber Rose Revah has registered her name as a pretty face on television and has been able to portray various characters that form an integral part of any film project she is involved in. She made her acting debut a couple of years back but takes roles and portrays movie and film characters like she has been around for a long time. As you would have easily inferred, Amber is an actress and she has to her credit a couple of works we will mention below. Here, we will delve into her profile, take a look at her marital/singledom life and cap it off with some interesting facts you hitherto didn’t know about the actress. Who is Amber Rose Revah? She is an English actress who was born in London, England, the UK, where she had her first cry as a baby on June 24, 1986. Amber Rose Revah’s mother is of Polish-Jewish descent while her father has roots of Kenyan-Asian Indian ancestry. In her family are her sister and a brother who are both doing well pursuing their respective careers. Amber’s sister is said to be working at the Great Ormond Street Hospital located in London, while her brother who lives in Switzerland works as a ski instructor. As a young child under the aegis of her hardworking parents, Amber probably had her primary and secondary school in the UK with her siblings. While we may not be exact on which school/s she attended, it is on good record that Amber Rose Revah graduated in Contemporary Performance from Brunel University: a public research university situated in Uxbridge, West London, United Kingdom. Prior to her university graduation, however, the future House of Saddam star had already kicked off her now burgeoning acting career. We discovered her earliest credited works to be The World Unseen (a 2007 film) as the character Begum, Yasmin in I Can’t Think Straight (2008), before she portrayed Hala Hussein; Saddam’s daughter in House of Saddam in the miniseries; episodes: “Part I”, “Part IV”, all in 2008. Following the success of this work, Amber Rose Revah starred in a couple of other works as things fell into place pleasantly for her. The actress as a teen joined the RADA youth group, secured the services of an agent and in 2011, starred in Everywhere and Nowhere. Since then, she has gone on to star in other works like Son of God and Women of the Bible (2014) as Mary Magdalene, London Life (2016) as Anita, Midsomer Murders (2016) as Jessica Myerscough in Episode: “Harvest of Souls” and a couple of other works. 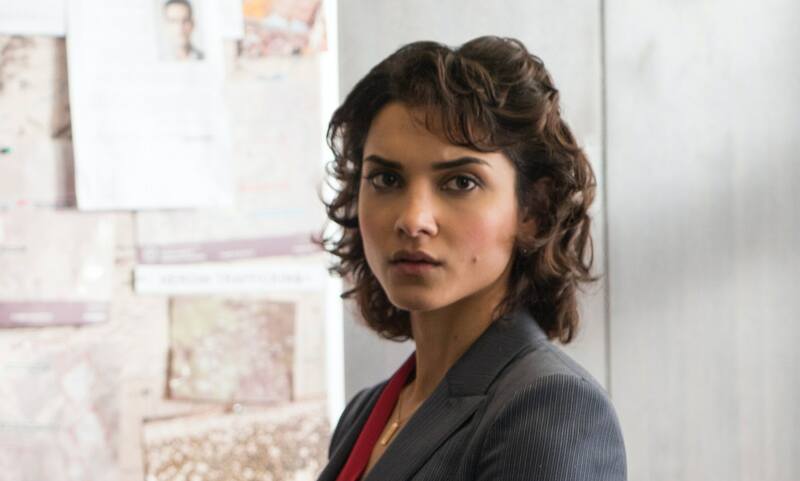 If we can flip around the popular saying “there is a woman behind every successful man,” we can then be asking the question of who is the man behind Amber Rose Revah’s successful career. There have been a couple of reports giving one name or the other as the identity of her beau, yet, a couple of other reports have it that she is still single. Nevertheless, here is what we gathered – the English actor was rumoured to be romantically involved with Ben Barnes, her The Punisher co-star. Their relationship, if it did exist, was believed to have kicked off following their starring together in the series. Next, she was said to be romantically involved with Neet Mohan, her Everywhere and Nowhere co-star. As usual, their romance kicked off while they were working on the film project as brother and sister. Out of the two guys she has been involved with or rumoured to be involved with, Neet seems to be the man in her life as pictures of the two having a good time together are plentiful. Amber Rose Revah’s maternal grandparents were forced out of Kraków (second largest and one of the oldest Polish cities) during World War II. Her maternal grandparents would then come to settle in the United Kingdom where her grandfather later established a shipping business. The actress has her height listed as 5 feet 5 inches or 1.65 m.
She weighs about 53 kg which is the equivalent of 117 lbs. For her significant body stats, Amber has a breast/bust size of 31 inches or 81 cm, waist of 23 inches or 59 cm, while her hips measure 32 inches or 81 cm. Revah spots a dark brown hair colour which compliments her brown eyes. She has been active in the industry since the year 2007 till the current time. Her career has seen her star in a couple of works which cashed in well at the box office. On this list are From Paris With Love which made $52,826,594 and Son Of God with $67,800,064.